Feeling depressed? Can Acupuncture help? Posted October 17, 2011 by Sabine & filed under Acupuncture, Anxiety, Depression. Depression is a mood disorder characterized by both physical and psychological symptoms that can be detrimental to one’s normal daily functioning. Depressed individuals often suffer from poor sleeping habits, crying spells, anxiety, worry, poor memory, inability to concentrate, body aches, stomach disturbances and a lack of interest in activities previously enjoyed. In most cases, the treatment involves antidepressant and/or counselling. So can Acupuncture help with low mood and depression? A recent study on acupuncture in the treatment of major depressive disorder shows that acupuncture could be a safe and effective treatment for depression, even when standard antidepressant medications aren’t suitable, giving hope for the thousand of people suffering from depression every year. Firstly, it is worth to note that Chinese medicine does not recognize depression as an illness as such. But it aims to treat the specific symptoms that are unique to each individual to restore balance within the person, addressing at the same time body, mind and emotions. As a general rule, Chinese Medicine associate depression with Deficiency and 2 organs, the Heart (the organ associated with Joy) and the Spleen (the organ associated with being grounded and content, or its opposite worry). Quite often, there is also involvement of the Liver (the organ asociated with stress) so not only people are feeling bad but they can also experince more stress! Once the patterns (diagnosis) are determined, the acupuncturist can select a combination of points which are specific to that individual. The practitioner can also advise on dietary changes and lifestyle changes. Finally, certain acupuncture points have been shown to affect areas of the brain known to reduce sensitivity to pain and stress, as well as promoting relaxation and reducing anxiety and worry . This can probably explain why so many patients find acupuncture treatment in itself so relaxing (a lot of people actually fall alseep during the treatment!) but also goes a long way to explain how it can support someone through depression. 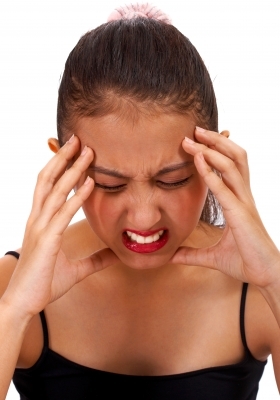 Thinking about acupuncture … but afraid of needles? Posted October 5, 2011 by Sabine & filed under Acupuncture, Needles. I was doing a talk this week at a WI group about acupuncture and how it can help people. As soon as I said that I am an acupuncturist, I could see some people becoming uneasy, one of them jokingly wondering if it was safe to come near me. This isn’t an uncommon reaction. But why? Most people recoil in horror thinking about them. They associate them with injection needles, hospital appointments and a whole lot of other uncomfortable procedures. But with acupuncture needles, this doesn’t need to be the case. 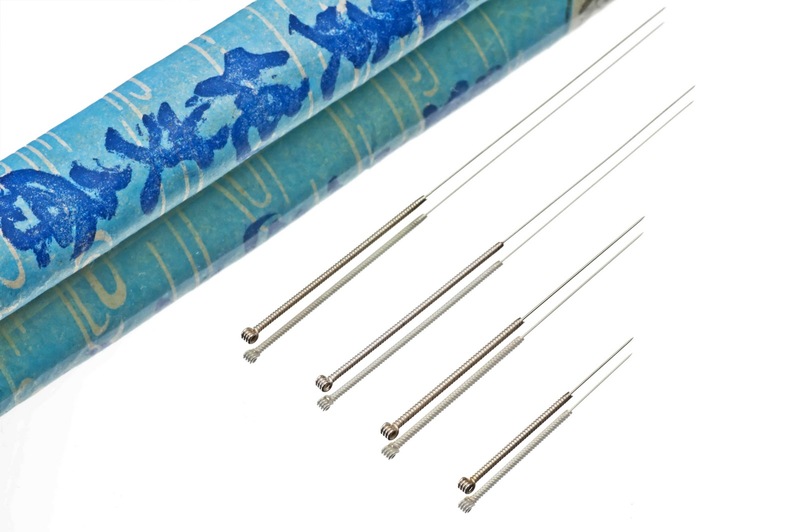 Unlike injection needles, acupuncture needles are solid, thin and flexible. The needles I use are 0.16mm diameter, about the width of a hair. They are made of high quality surgical stainless steal and are very smooth. 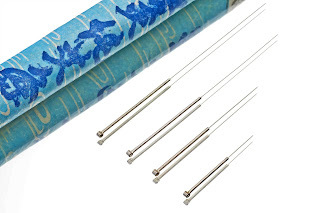 The needles are also single use and sterile to eliminate any issue of cross-contamination. After insertion, patients report very little sensation or perhaps a little bit of a prick. In most cases, what you can feel is the guide tube, a little plastic tube that rest on the skin to help putting the needle in. Once the needle is inserted, it is normal to sometimes feel some heaviness, tingling around the needle. This is a sign that the energy has come to the needle and it is starting to have some effect. 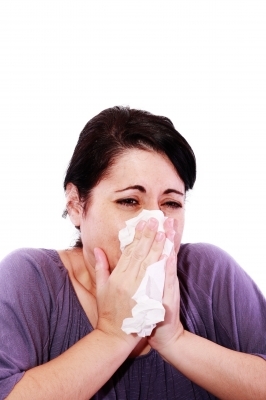 The number of needles used varies greatly depending on the person and the condition treated. In average, I use about 10~14 needles which are mainly inserted on the arms (between the elbow and the tip of the fingers) and the legs (between the knee and the tip of the toes). They are retained for about 20 min. Most people find this a very relaxing experience, with quite a few patients drifting off to sleep! So why not giving it a try?